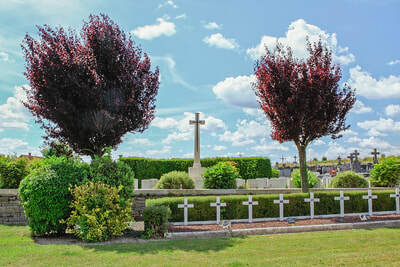 The village of St. Riquier is about 9 kilometres from Abbeville along the D925 Doullens road. 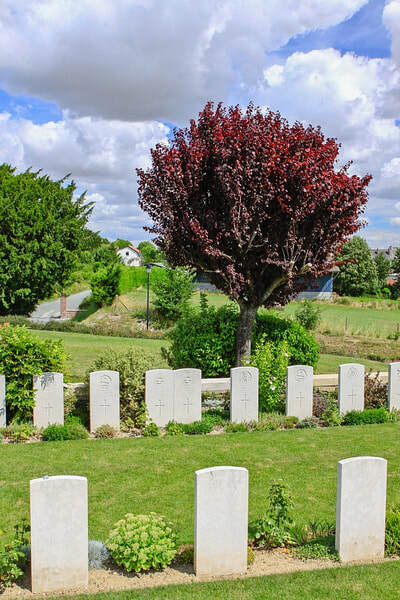 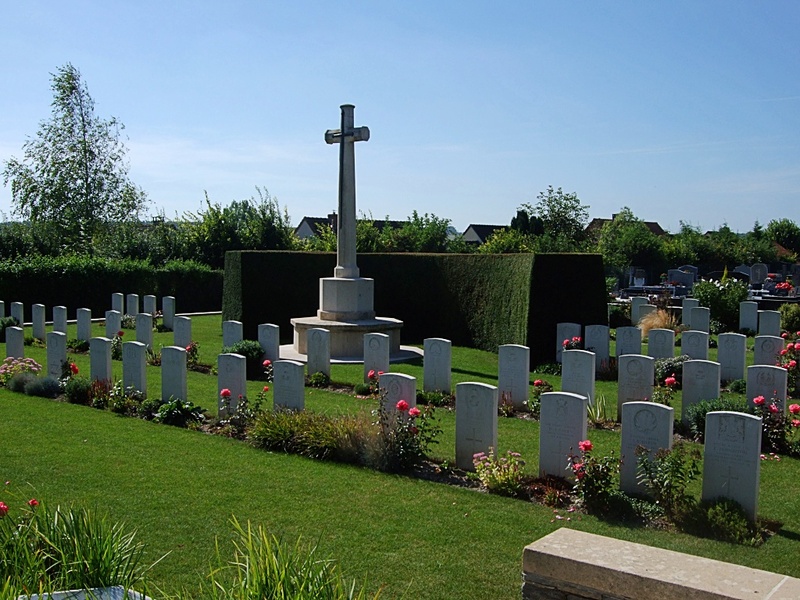 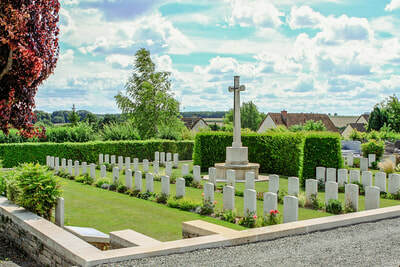 St. Riquier British Cemetery is on the western outskirts of the village on the D925. 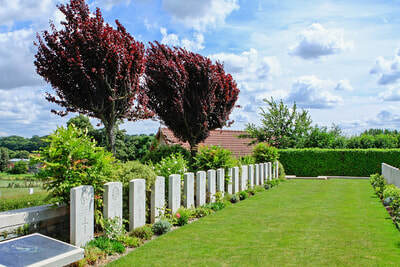 St. Riquier British Cemetery was made by the 49th and Lucknow Casualty Clearing Stations in April - October 1918. 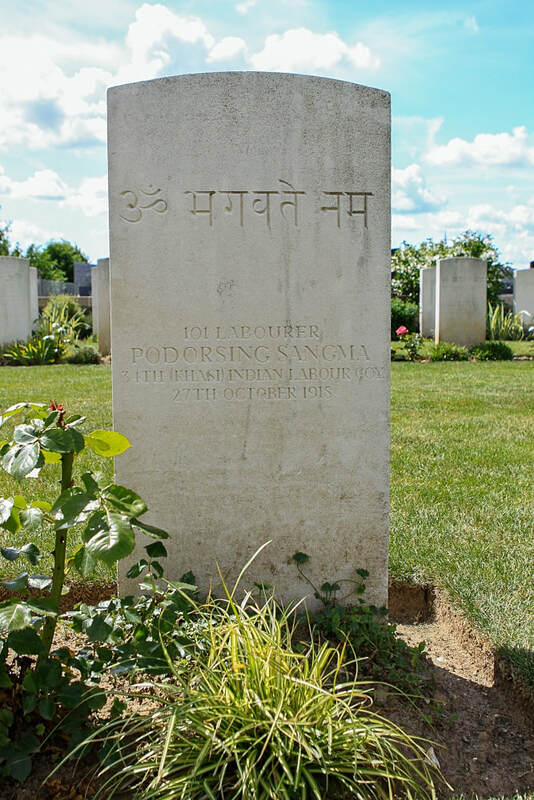 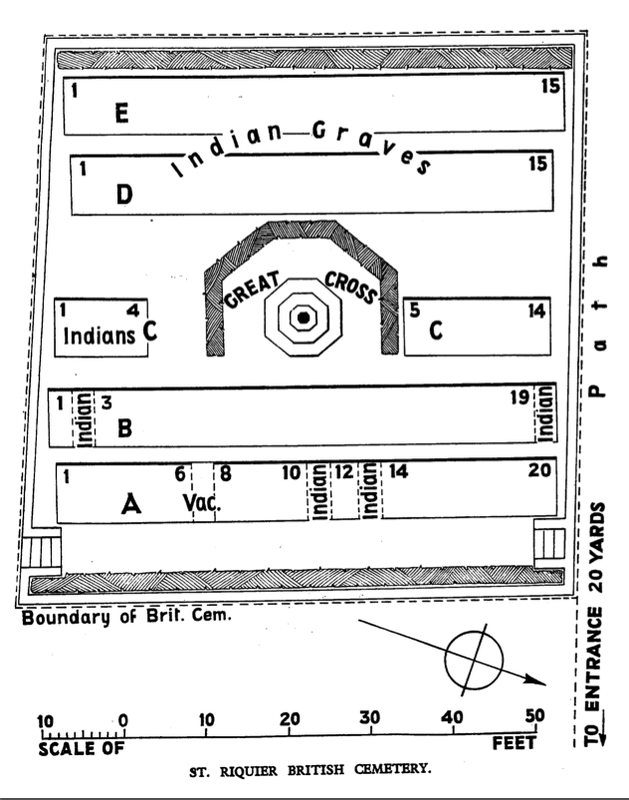 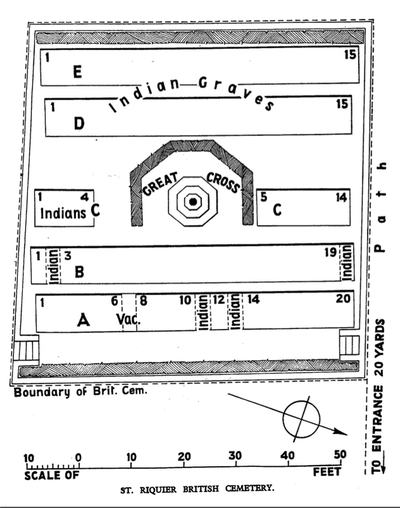 After the Armistice it was enlarged when 11 graves were brought in from a plot outside the cemetery, and 29 from FRESSENVILLE MILITARY CEMETERY, made by the Lucknow Casualty Clearing Station in 1916 - 1918. 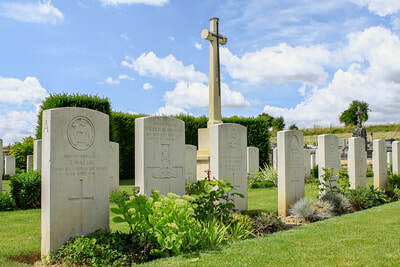 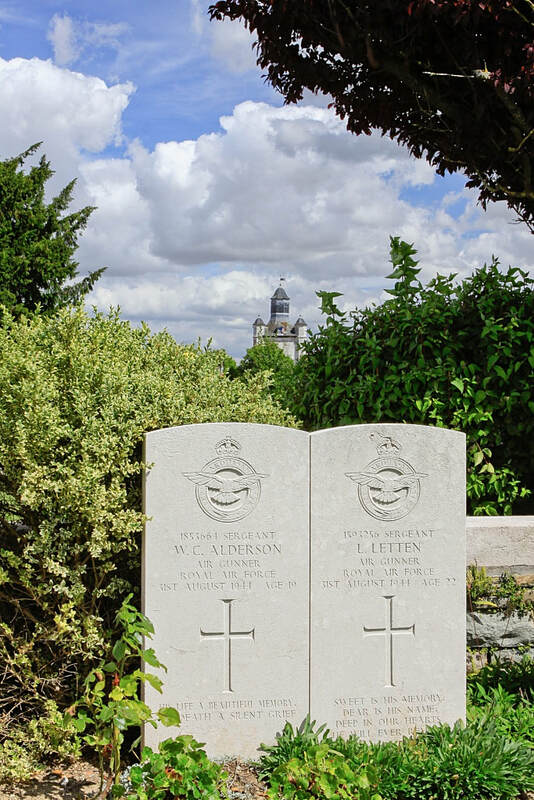 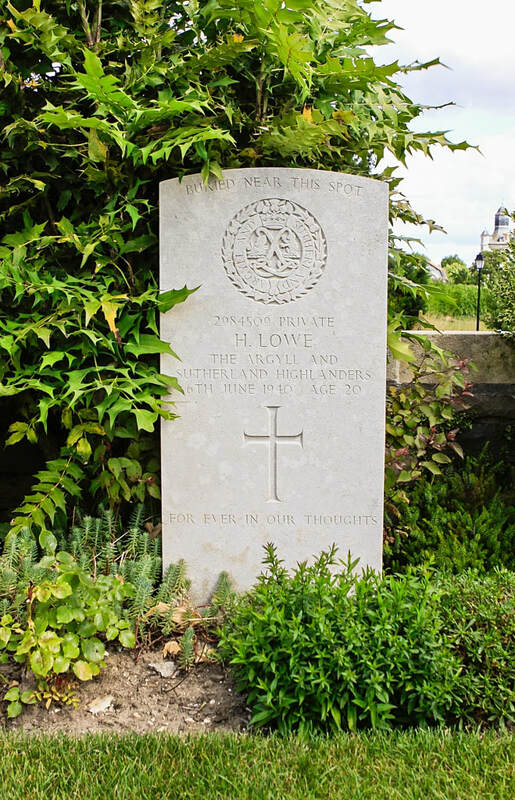 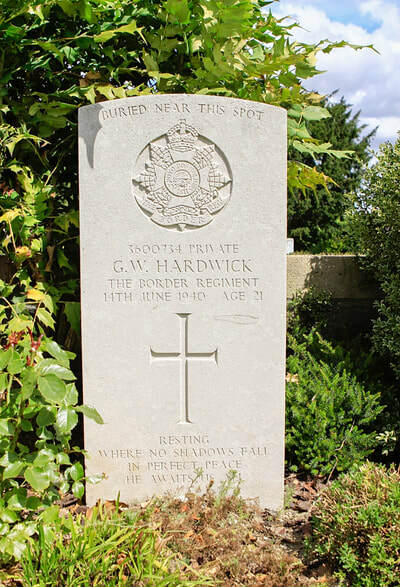 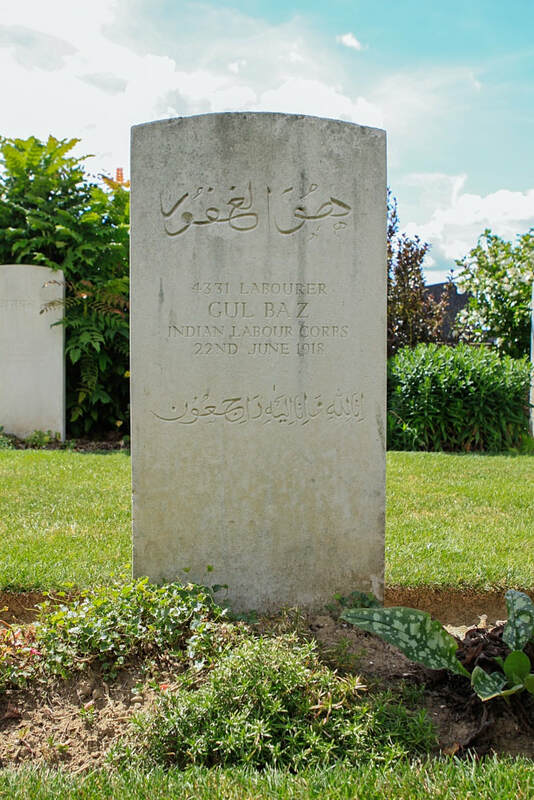 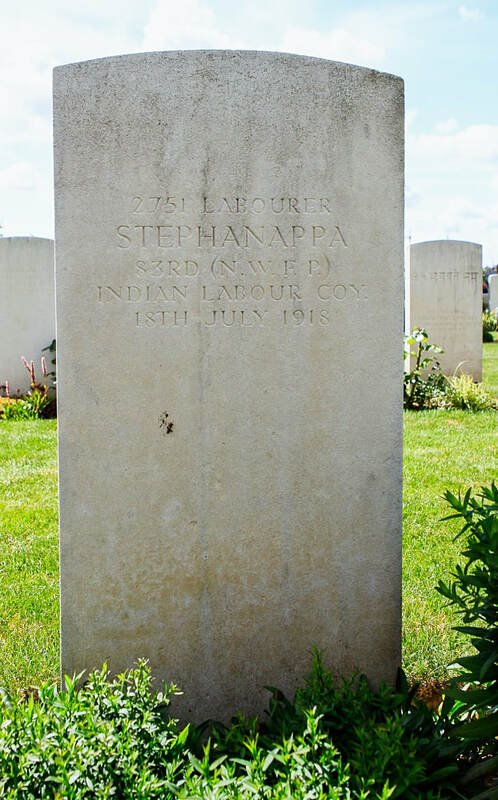 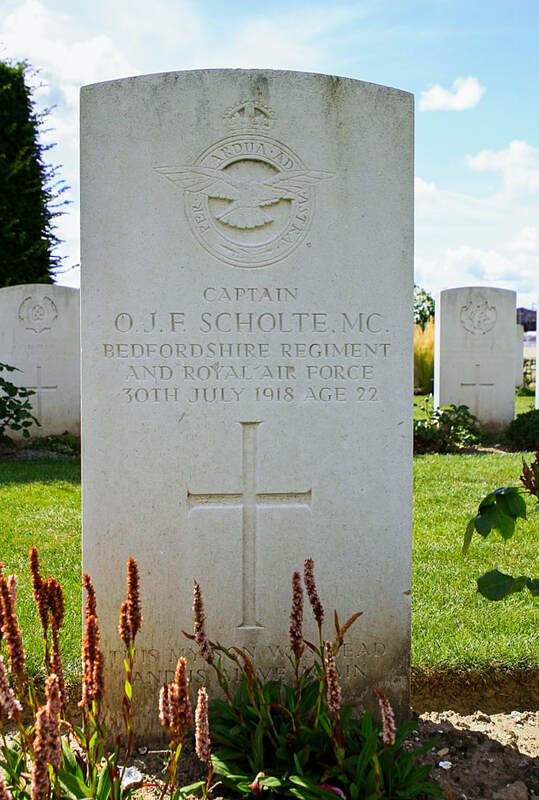 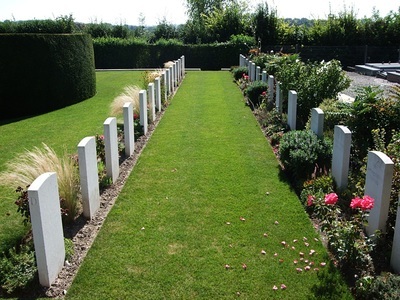 The cemetery now contains 84 First World War burials and 20 from the Second World War, most of the latter dating from May and June 1940.